We been searching for the best yet affordable microphone for recording. As many may be aware, there’s a lot of microphones in the market today but the question is, which one will really serve your needs? 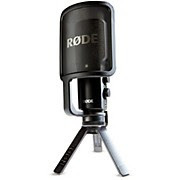 There’s a microphone for professionals like rode microphone, and another microphone which is considered as the best and the finest in the industry. But in buying one, we must consider the microphone’s other features such as impedance, phasing, output and sensitivity. Sometimes, being the best comes with the price but for as long as it is perceived to be valuable, then it’s worth can be justifiable.